Despite being the largest economy in the world, the United States has sorely lacked behind when it comes to the online gambling industry. Since the Unlawful Internet Gambling Enforcement Act of 2006, the online gambling market has been limited to a few locations and the number of websites in operation has been drastically reduced. Yet still, the industry refuses to call it quits in the US and steps have been made to improve the legal landscape and give prospective gamblers what they want. According to supercasinosites.com, 2018 was the year when several states became more open to the idea of online gambling and introduced legislation lifting the ban on the practice. New Jersey was one of the first states to make online gambling legal, at least to some degree, and in August 2018 alone, operators reported a turnover of $100 million and revenues of $9 million from sports betting. As far as other states are concerned, West Virginia, Pennsylvania, and Nevada all passed new online gambling laws regarding casinos and sports betting. While the available brands are not as numerous as those in Europe or Canada, it is speculated that more and more will become available in the next few months. For the most part, companies are focusing on their land-based venues with online services to follow. Other states have made certain forms of gambling legal within their jurisdictions, though that is only limited to brick-and-mortar establishments. Such include Delaware, Mississippi, and Rhode Island, to name a few. Mississippi and Rhode Island permit land-based gambling but have not yet taken steps to fully legalize the online versions. However, lawmakers have expressed an interest in legalizing online gambling, as well. How long it would take for that to happen is, at this moment, unknown but if things continue at their current pace, then it would be entirely within the realm of possibility for new laws to be passed within the next two years. While sports betting and casino gaming have not had much success on the Internet with the US lawmakers, online lotteries have become increasingly popular and legalized in the last few years. Interestingly enough, none of the states mentioned above have really bothered with lotteries and it is their neighbours to the west that have embraced them. As far back as 2014, lotteries were made available to residents of Georgia and Illinois, with ticket sales quickly rising in the millions after a short time. 2016 saw Michigan and Kentucky launch their first online lotteries, with New Hampshire and Pennsylvania introducing online lottery laws in 2017. The western and southern states have not really made any progress to speak of in recent times. While Kentucky and Georgia have accepted lotteries, other forms of online gambling such as casinos and sports betting are off the table. California is one state where a gambler might expect to be able to place bets online but that is sadly not the case. Several attempts have been made to introduce new legislation and regulations but all talks died on the vine when the involved parties could not find a worthwhile compromise. Nevada, despite taking some worthwhile steps, still has not made enough progress to bring more forms of online gambling in on the right side of the law. 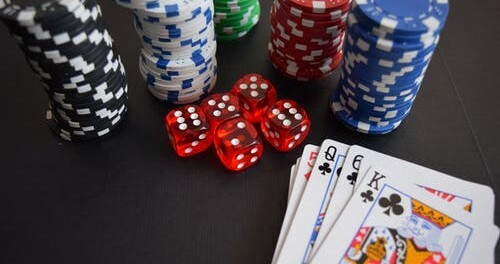 Currently, the only form of regulated and lawful form of online gambling are online poker rooms of which there are about a half dozen brands in operations. As for online casinos, only residents of New Jersey, Pennsylvania and Delaware can enjoy worthwhile gaming on the Internet. Of those, only New Jersey is seeing significant developments in its market, with reported revenues of over $240 million in 2016. Delaware and Pennsylvania online casinos are still struggling with licensing, let alone making money. The overall state of online gambling in the United States is as confusing as it has ever been. Lawmakers argue to no end and very little is being done. Certain states have made significant progress, with Pennsylvania and New Jersey being prime examples, but the rest have been slow to implement any worthwhile changes. While this may be true, all statistics indicate that the online market in the US is on the rise and with the right laws in place, it could once again become a dominant factor in the global industry. All things considered, changes are coming though it may take a few years before they are properly implemented. 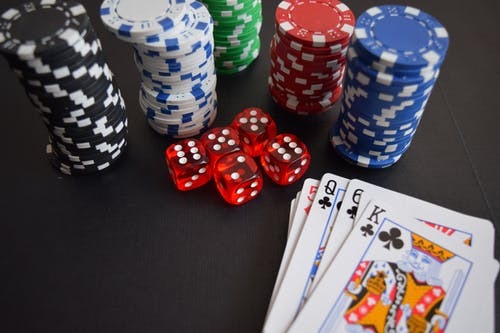 If any notable ones are introduced, you can be sure that we will keep you up to date with the current state of the online gambling industry in the United States.